Congratulations and thanks to our volunteer drivers for Brecksville's Senior Transportation program. Because of your outstanding efforts Brecksville was awarded the Western Reserve Area Agency on Aging's 2008 Program Service to Seniors Award. This five county organization gives just one such award per year! If you'd like to be a volunteer driver call the Human Services Center at 526-2499. Our department needs volunteers to work at the desk answering the phone and to make reassurance calls. We also need nurses to do blood pressure screening on Monday mornings. We need drivers for the van, bus and car to take seniors to the doctor, on errands, to lunch and mall trips. During the winter months many of our volunteer drivers head south. If you can drive even just one day a month we’d love to have you join us. Please call the office at 526-2499. 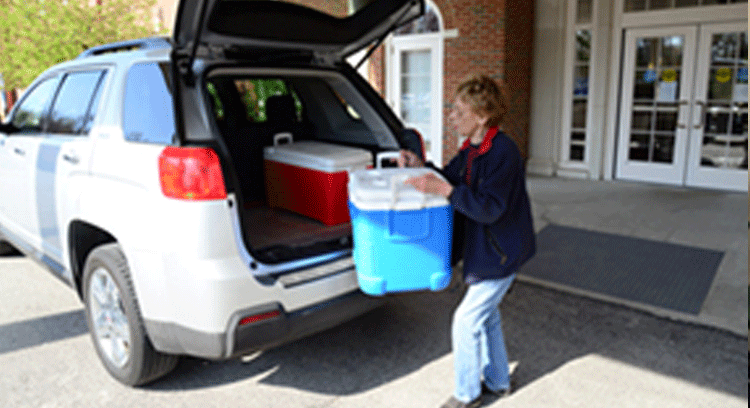 The Department of Human Services is the headquarters for the Brecksville and Broadview Heights Meals on Wheels Program. Should you or any member of your family find it difficult to prepare your or their own meals due to recent surgery or incapacity, call the office at 526-2499 and we can guide you through the process. The meals are provided Monday through Friday every day except holidays. They are nutritious and reasonably priced. Meals on Wheels needs volunteers!!! Please call the Department for further information.